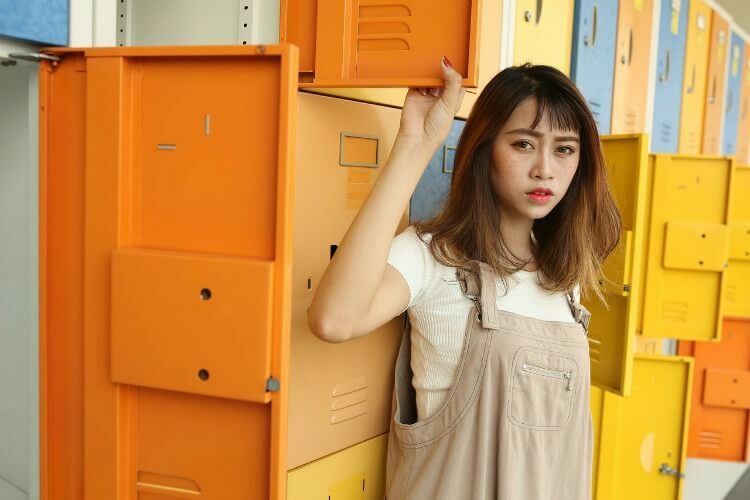 In honor of Autism Acceptance Month, Femme Frugality is running a series of Monday articles focusing on the triumphs and challenges autistic people conquer as related to their finances and careers. Joining us this week is Tara Falcone, CFP®. Falcone is a CERTIFIED FINANCIAL PLANNER™, former Wall Street analyst, and founder of ReisUP LLC. ReisUP is an early-stage financial services company dedicated to increasing investing education and access for everyday investors. 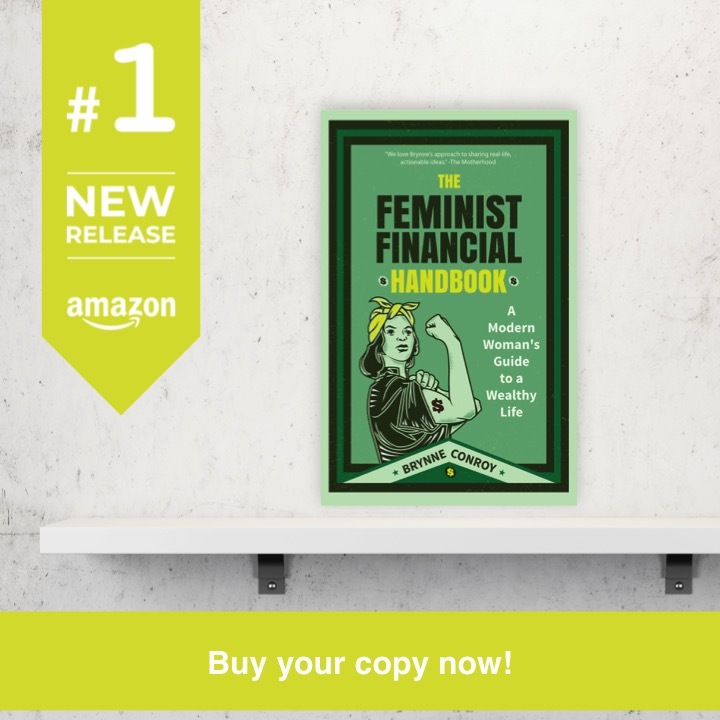 Her mission is to empower people to “rise up” and play a more active role in achieving their financial goals. Last week, we kicked off our Autism Acceptance Series by looking into a new financial vehicle: ABLE Accounts. 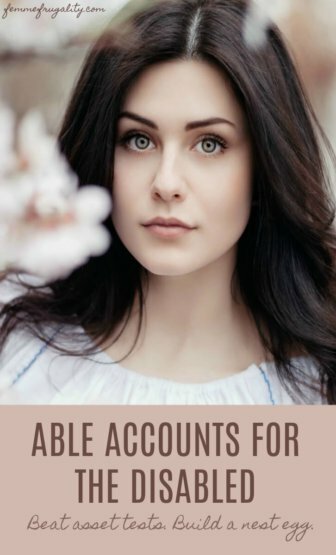 ABLE accounts allow disabled individuals–or their guardians–to stash away some money without having to worry about failing an asset test when they go to apply for state or federal benefits. These accounts can also be used to grow your savings tax free. There are currently thirty-three states that offer ABLE accounts–plus DC. For simplicity’s sake, we’ll be looking at only Pennsylvania’s investment options today, though the same concepts can be applied in generality. What are ABLE investment options? “The Conservative and Moderately Conservative options invest 70-90% of their portfolios in cash and bonds, with the rest (10-30%) invested in a variety of stocks,” says Tara Falcone, CFP® of ReisUP LLC. “The primary goal of these investment options is to preserve your principal, which is the money you deposit into your ABLE account, while offering limited to small returns on your investment. Small potential risk equates to small potential reward. “The Moderate and Growth options’ portfolios are split roughly 50/50 between bonds and stocks. These investment strategies focus less on principal protection and more on generating a slightly higher return on the invested assets. Moderate potential risk means moderate potential reward. Before making any investment, it’s important to identify why you’re investing, and what limitations your specific life situation may impose. Falcone advises looking at the following factors before choosing your allocation strategy. Investments are not stagnant. At times they’ll go up, and at others they’ll go down. Your risk tolerance is how much sleep you’ll lose over that fact. How long can you let your money sit without touching it? If, however, you’re saving to provide for your child after you’re gone, you may have a longer investing horizon. “Someone with a longer investing horizon who doesn’t need to withdraw a large portion of their account for five or more years may want to consider a moderate or aggressive option,” says Falcone. There are two basic reasons ABLE accounts are so attractive. The reason you were drawn to it probably says a lot about your overall goal. Reason #1: Savings isn’t counted for asset tests. If you’re applying for government benefits like Medicaid or SNAP, savings in your ABLE account will almost never count against you. This is important when you’re trying to build up savings for medical equipment, therapies, or even just a basic emergency fund that you will need in the near future. In these cases, Falcone notes that a conservative approach is probably the best fit. Reason #2: You’re taking advantage of the tax-free growth. If you’re saving for your child’s future but don’t have a large enough nest egg to justify a special needs trust, ABLE accounts are particularly attractive due to their tax-free growth. Falcone notes that any time you’re making a longer-term investment, you can afford to be more aggressive. It is possible that you’re taking advantage of both perks. You’re saving large sums of money for a date far off in the future, but are only able to do so because that savings won’t count against you in an asset test. In these cases, Falcone says you can yet again afford to be more aggressive. While risk tolerance is how you feel about the volatility of your investments, risk capacity looks at the risk you can take on from a concrete, objective perspective. “Due to the assets test that owners/beneficiaries of ABLE accounts must pass in order to qualify for Medicaid and other social programs, risk capacity is arguably the most important factor to consider in these unique circumstances,” notes Falcone. If you have friends and family who want to contribute, but you also want to extend your investment time horizon, you may want to direct them to specific bills that they can pay rather than making contributions to the ABLE account. Falcone points out that this keeps your money in your account as a long-term investment while keeping it out of your regular checking account where it would be counted in an asset test. How should I invest with my ABLE account? Wondering what you should do in your specific situation? Below you’ll find Falcone’s recommendations for some common circumstances individuals or families may find themselves in. While this advice speaks to generic situations, it’s always advisable to talk with a professional about your own, unique set of circumstances before making any investment. Someone with no risk tolerance. They are not willing to put any of their funds at risk to earn even a small return. Someone who needs the ability to withdraw funds immediately. Otherwise, withdrawal proceeds can take 3-10 days to reach the beneficiary in Pennsylvania, per the Program Disclosure Statement. Someone who is already the beneficiary of a special needs trust or has some other fund/account/support to help pay for future expenses. They don’t need the benefit of the tax-free growth nature of an ABLE account, but want to shelter more funds from the asset test. A disabled adult with current cash need, desire to shelter some assets from the asset test, and/or desire for some financial independence to purchase/pay for things on their own. Someone with very low risk tolerance. Someone with potentially large unexpected expenses. Someone whose primary goal is to shelter funds from the asset test, not earn a substantial return on those funds. This investor will display similar criteria to Conservative, but is willing to give up some principal protection for slightly more current income. Someone with moderate risk tolerance and moderate risk capacity. Someone with high risk tolerance and low risk capacity. They’re comfortable with volatility, but can’t necessarily afford to lose money in the short-to-medium term. Someone with low risk tolerance but high risk capacity. They’re not as comfortable with investment volatility, but can afford to take on some risk to earn a potential return. Someone with infrequent but potentially large unexpected expenses. Someone with a medium-length investing horizon of 5 to 20 years–perhaps a parent saving for their child’s future expenses, including education. Someone who wants their money to earn a slightly higher return. Someone who has access to other cash sources or temporary support in the event of a market downturn. Will display similar criteria to Moderate, but is willing to take on slightly more risk for slightly more capital appreciation potential. Someone with a high risk tolerance. Someone with a long investing horizon and desire to benefit most from ABLE’s tax-advantaged growth. This could be parents who want to set aside funds for their child’s future needs and want those funds to earn a substantial return. Someone who already has a special needs trust or is seeking an alternative to a special needs trust. One example is parents with a young disabled child or young adult. Someone who has a low savings capacity now, but a large future capital or income need. One group that may fit this profile is parents wanting to establish a fund to pay for their child’s needs upon their death. These investors will display similar criteria to Moderately Aggressive, but to a larger extent for each point. Even more comfortable with risk, even longer investing horizon, even greater future income or capital need, even more sources of additional support, etc. Evaluate, but don’t mix and match. Falcone advises against investing in multiple different portfolios at one time. She says the only exception would be if you needed some cash on hand in the high-yield checking account, but wanted to invest the surplus. This entry was posted in Family Finance, Money Management and tagged Autism on April 9, 2018 by femmefrugality. In honor of Autism Acceptance Month, Femme Frugality will be hosting a series of Monday articles that focus on the financial challenges and triumphs that autistic people face and achieve. When they are children, these things also tend to affect their family’s finances, as well. If you are on the autism spectrum, or your child is on the spectrum, it’s likely that you incur some costs that neurotypical people simply don’t. There may be therapies, adaptive equipment, nutritional supplements or even legal fees related to autism that end up in your budget. Fortunately, in recent years these financial burdens have been acknowledged. With the passage of the ABLE Act, people with qualified “disabilities”–or their guardians–now have the ability to open an account built specifically to deal with these added expenses. I was incredibly psyched when an advisor let me know Pennsylvania was rolling out theirs last year. Since PA is the state I’m most familiar with, the PA ABLE account will be the one we dissect today, but other states have similar options. You can view them at the end of this article. An ABLE account is a tax-advantaged investment account. It serves as a way for those with “disabilities” to save for expenses related to their condition–in this case, autism. Families are also able to save for their minor children in this way, or through a power of attorney if their child is an adult in need of assistance. ABLE accounts are 529 accounts, which means that most of the time the money you put in them is invested. If you’re familiar with these accounts for college savings, it’s a very similar thing except the scope of qualified expenses extends beyond just post-secondary education. ABLE accounts are also advantageous because they don’t count against many state or federal programs that require asset tests, allowing people on the spectrum to save for future costs without worrying about losing their healthcare or other necessities. 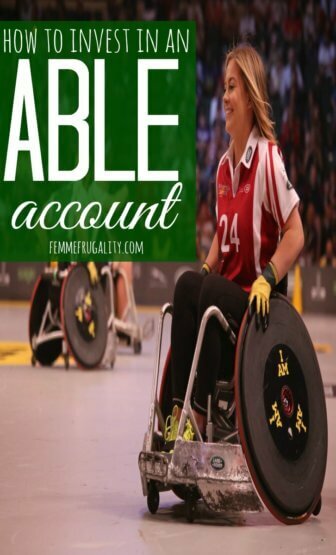 How do you qualify for an ABLE account? If you live in Pennsylvania, you’ve likely gone through the rigamarole of applying for SSI so you can get on Medicaid. If your income is low enough, you get SSI payments. If it’s too high, you don’t get the SSI payments, but SSI confirms that you have a disability so you can get state-sponsored insurance. If your autism has been confirmed by SSI, you qualify. Other ways you can qualify are through entitlement to SSDI or a signed confirmation of disability from a physician. They must also certify that you received your diagnosis before age 26. What is a qualified expense for an ABLE account? This is by no means an exhaustive list. You can use the money for anything related to the associated “disability,” and it doesn’t necessarily have to be deemed medically necessary. Just remember to keep good documentation about what you’ve spent the money on. If the IRS ever audits you, they’re going to want to see receipts. Check out other qualified expenses under PA ABLE. How much can I save in an ABLE account? You can save $15,000 per year. If you have family or friends that want to contribute, their generosity counts towards that $15,000. There are some federal exceptions to this cap–for example, if you bring in income, you’re allowed to save more–but states are still trying to work out their own rules which may be more restrictive than the federal policy, which just changed at the tail end of 2017. The max amount you can have in an ABLE account at any given time is $511,758 in the state of Pennsylvania. This max number will vary from state to state. 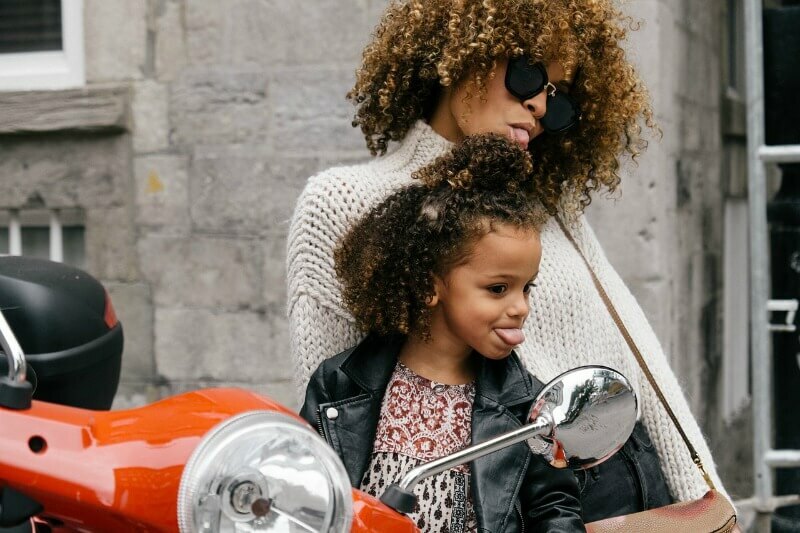 If you are a parent or guardian who is saving for a child, once you reach this point you may want to talk to a professional about a trust or even a special needs trust. What are the tax advantages of saving in an ABLE account? You contribute money after you’ve already paid taxes, so contributions won’t lower your AGI on your taxes. However, the money is allowed to grow tax-free, and as long as your withdrawals are made for qualified expenses, you won’t have to pay taxes when you take the money out. If you spend the money on an unqualified expense, though, you will be hit with a penalty. With the new tax law, you will be able to apply your ABLE contributions to the federal Savers Credit. The details are still fuzzy, and there may be some retrictions, but this is actually one good aspect of the legislation, which has otherwise set into motion threats to the health and well-being of the disabled. You don’t necessarily have to live in a state to purchase its plan. For example, PA ABLE is available to people in all 50 states–not just Pennsylvania. On this particular plan, you might end up paying state taxes on your gains if you’re from out of state. Pennsylvania residents are exempt, and also won’t pay state taxes upon a qualified withdrawal. Pennsylvania residents also benefit from exemption from the PA inheritance tax. Check with your state to see what benefits may be available. Will an ABLE account mess up my state or federal benefits? ABLE accounts are not considered for SNAP benefits or any other federally-distributed benefits with means-based tests, save for SSI. Typically, SSI limits your assets to $2,000, but ABLE accounts are a little different. They won’t count the first $100,000 in your ABLE account against you for SSI qualification or the determination of your dollar-amount benefits. Separately, the state of Pennsylvania has passed legislation that prohibits your ABLE balance from being used in any asset tests related to health or disability. They’re also not allowed to use it for SNAP per the USDA’s issued guidelines. In the state of Pennsylvania, PA ABLE savings will not count on applications for state-based financial aid. Because ABLE accounts are not supposed to be counted on federal means-based tests, the general assumption is that these savings should not be included on the FAFSA. However, as far as can be told the US Department of Education has not issued any guidance on this to date. You may want to call the Federal Student Aid Information Center to get the most up-to-date information. Do not count ABLE savings on other children’s FAFSA applications. You can avoid all administrative fees by getting your documents delivered electronically. Investment fees are between 0.34% and 0.38% depending on which option you pick. Picking an option–from conservative to agressive–is something we’ll be tackling in a future post. Saving for college with a 529 is one thing, but saving for expenses related to autism that come up as a part of your daily life is quite another all together. Rent isn’t something you’ll be paying in 30 years–it’s something that’s due now. If you need an iPad to communicate, you’re not going to wait for 15 years of appreciation on your investment before you start to exchange information with the world. But that isn’t to say the most conservative option is the best choice each and every time. It’s complex, and something we brought an expert in to cover. Are ABLE accounts worth it? While the fees may not be the lowest, the account is tax-advantaged and allows you to use your money before retirement age. It also allows you to save for future expenses without disqualifying yourself from certain federal and state means-tested benefits. If you’re a parent, you may not be sure if your child will go to college or not. An ABLE account gives them the flexibility to pursue whatever occupational or educational path they want and are able to when they get to that point in their life. Or, if you come up against a financial emergency between now and then because of your child’s medical, communication or educational needs, you have the money there to save you from financial distress while still providing the best for your kid. Overall, it’s a much-needed solution that many individuals and families will be able to use to their advantage. With so many frustrating lines of red tape around every corner, it’s good to see that this issue is getting some recognition and legislation. Note that not all state plans are created equally. Don’t pick a plan simply because it is based in your state or think that because your state doesn’t offer a plan, you’re not eligible. Fees, residency requirements and state tax advantages are all going to vary. Do further research before opening any financial account. This entry was posted in Family Finance, Money Management and tagged Autism on April 2, 2018 by femmefrugality. In honor of Autism Acceptance Month, Femme Frugality is running a series of Monday articles focusing on the triumphs and challenges those diagnosed with autism face as related to their finances and careers. Today’s post is the second in the series. Neurodiversity is a beautiful thing. When we think differently from each other, we each have the opportunity to do good in our own unique way. Today we’ll look at six autistic women who are forging their own paths. They’re creating meaningful art. They’re creating jobs. They’re creating a better world. At just eleven years old, Dani Bowman established an animation company called DaniMation Entertainment. Today that company is not only going strong, but also employs others on the spectrum. By recognizing and utilizing the talent in her own community, she has assembled a team that’s produced award-winning animated shorts for five consecutive years. On top of building a successful company and tapping into the immense talent pool within the autistic community, Bowman works to develop that talent pool further by running summer camps focused on animation and empowerment. Morénike Giwa Onaiwu has a long history of working in advocacy and empowerment movements. She started her career in the nonprofit sector, and has since served in a various volunteer capacities, including positions within the Division of AIDS at NIH. Within the autism community, she serves as the Autism and Race Committee Chair for the Autism Women’s Network. As a black woman, her voice is much needed as an advocate who can speak personally to the bias-centric hurdles autistic women of color face on a daily basis. In 2011, Jen Saunders started an extremely successful magazine called Wild Sister. Birthed out of a trying time in Saunders’ life, the aim of the publication is to empower women to pursue their dreams rather than become victims of their circumstance. In 2015, she received a diagnosis of Asperger’s Syndrome. These late diagnoses are becoming more and more common for adult women as we understand and identify autism not as a institutional disease, but as a sign of neurodiversity. Women are socialized differently than men in our culture, leading some to argue that the symptoms of autism are not as visible with them. This difference in socialization and cultural expectations either creates the illusion of or is compounded by the assumed fact that the occurrence of autism is lower in females than it is in males. As we’ve gotten better at identifying autism in women, more are being diagnosed later in life. Saunders used her diagnosis as an opportunity to reach out to women with a similar life experience and founded the Autistic Women’s Collective–a global social network for women on the spectrum and parents of daughters on the spectrum. Many of the women on this list are on a point of the spectrum where their communication isn’t necessarily limited by their autism. But just because verbal expression is not your preferred modality doesn’t mean you can’t contribute to the world in meaningful ways. Kim Miller is a living example of that. She was non-verbal as a child, but was able to express herself through art. She would draw pictures to communicate her wants and needs to her family, and her comprehension to teachers at school. Today she uses art as a powerful form of self-expression. She, and many others on the spectrum, are visual learners. This lends itself to pictorial processing rather than thinking in a string of sentential lexemes. Her art, which has been featured in many different publications, portrays a full and rich interpretation of the world. She’s earning through her talents, and at the same time making the world a more beautiful and understanding place. Currently, you can purchase works which have not had their copyright purchased by outside publishers through the Kimpressions online storefront. In the US, we have a lot of supports for children with autism. But when it comes time to transition to adulthood, many states don’t have the proper systems in place to continue this support. One place where this evidences itself is in the college experience. Not only do the intense and new social situations tend to be more difficult to navigate when you have autism, but the workload combined with an inclination towards completing tasks immediately rather than pacing make the entire experience extremely anxiety-inducing for those on the spectrum. In an effort to up student retention rates in the autistic community, Amy Gravino started A.S.C.O.T. Coaching, LLC. On the spectrum herself, she is uniquely qualified to guide and support students through the transition to college life with concrete skills and true empathy. Most readers will be familiar with Temple Grandin. Her name is known for her work in autism advocacy, and for good reason. But prior to this effort, she revolutionized slaughterhouses. Her keen attention to detail, heightened sensory sensitivities and empathic compassion towards animals enabled her to design systems that kept cattle calmer as they were literally being led to the slaughter, and gave them kinder deaths. Not only have her designs made our systems more humane, but they’ve also saved a ton of money in a massive industry. All of these women are changing the world, and they’re doing it as career women and entrepreneurs. At this point, it’s easy and common to feel stirred to a point of inspirational pity. Let’s not do the common thing. You’ll note that every single one of these women isn’t successful in spite of her autism. They’re each successful because of it. That’s what Autism Acceptance Month is about. It’s not about wiping out neurodiversity by finding a cure in order to eradicate the challenges of autism. Those challenges, which are real and sometimes large, do need to be addressed. But to cure autism itself would also remove many of these important contributions to society. Rather, this month is about celebrating those differences, and recognizing that we, as a society, are better because they exist. This entry was posted in Think and tagged Autism on April 10, 2017 by femmefrugality.